Not all websites need to be huge clunky things that provide more information than needed. 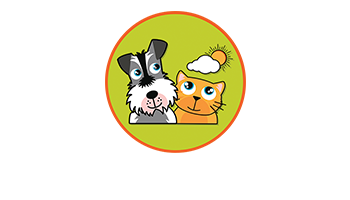 This was the case with Taff Tail, a dog walking and pet minding service in Merthyr Tydfil. They needed a small website built that would allow their customers to know the services they provide, their availability and the locations they serve. We came up with a fun, colourful and professional website layout that was easy to navigate. 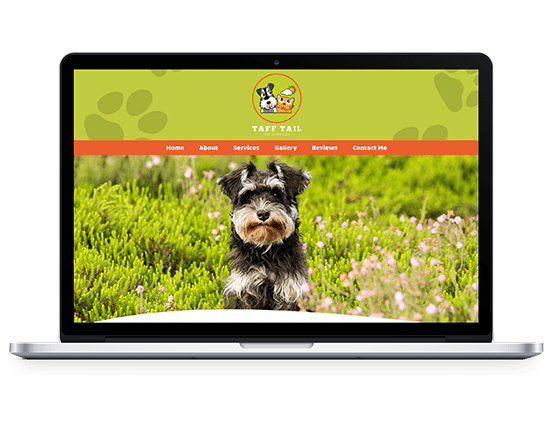 We also helped Taff Tail with their search engine marketing and were able to get them great results. Professional doesn’t have to be boring. We created a fun yet professional site that allows Taff Tails potential customers to see the high end service that they provide while creating an aura of trust. The one page website package that we offer our clients was perfect for this website build. All the information was right there at the users fingertips, they didn’t have to browse for information, it was all there on the one page. 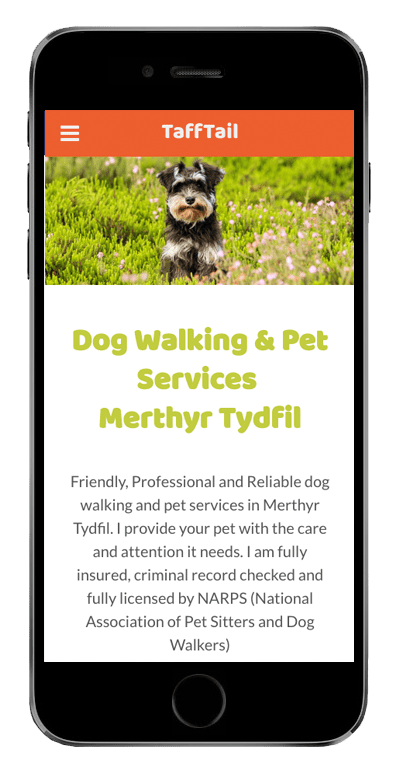 Most of Taff Tails clients use their mobile phones to browse the site, therefor the website was built to be easy to navigate and mobile friendly. Doing the above would allow Taff Tail to be more user friendly and increase their bookings. Many off Taff Tails competitors had been around for years, our SEO marketing service allowed us to outrank them in a matter of weeks. 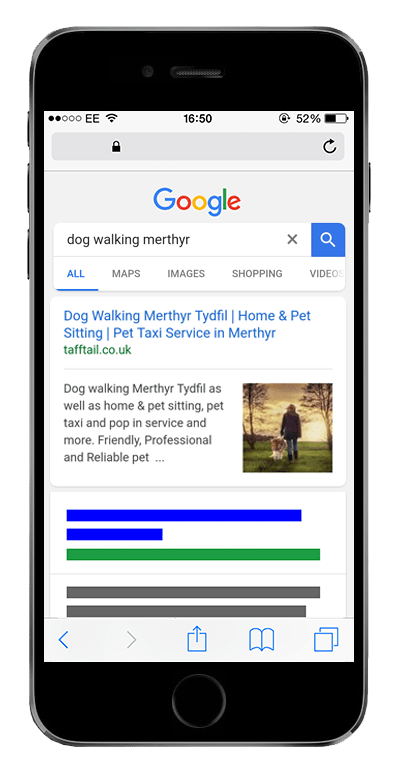 Taff Tail now ranks for multiple keywords on the first page of Google which has lead to many customers finding their service. 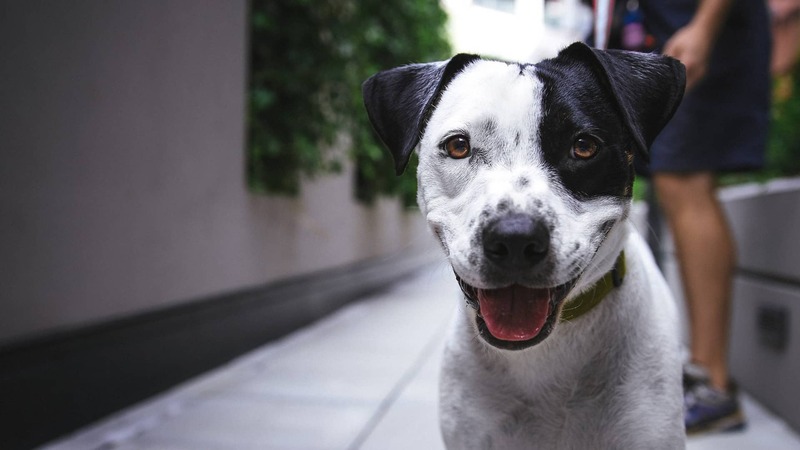 Weeks ago Taff Tail wasn’t heard of, now they outrank their competitors for multiple services in the local area. This was done through great planning, designing, top notch development and white hat SEO techniques. You can visit Taff Tail below.